Welcome to the monthly e-bulletin of the South Asia Media Solidarity Network(SAMSN). The next bulletin will be sent on September 15, 2015, and your inputs are most welcome. India’s deadly record of journalist killings in 2015 demands answers as two further murders this month took the country’s media worker death toll to four this year. 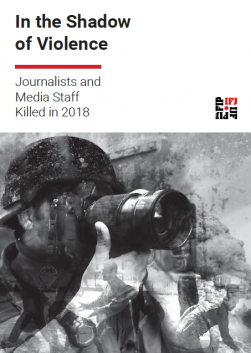 The IFJ and its affiliate the Indian Journalists Union (IJU) are demanding immediate action from the local authorities to bring those responsible to justice, and call on the Indian Government to end the continued attacks and killings of journalists across the country. The latest series of disturbing incidents and attacks on journalists occurred in Uttar Pradesh and Maharastra. On August 14, local police saw two people dragging a body on Station Road in Faidpur, Uttar Pradesh. The police apprehended one of the individuals carrying the body, found to be 42-year-old male journalist, Sanjay Pathak. The second person, however, escaped the scene. Initial investigations showed Pathak had been hit several times on the head with a heavy object. More here. Just days earlier, on July 17, Raghavendra Dubey, the editor of local weekly newspaper, Khushboo Ujala, was found dead with head injuries on the side of a road in Kashimira, in India’s western state of Madarastra. A number of hours earlier, the editor had been at a local police station for questioning in connection with a recent attack on three journalists. Dubey was asked to visit the police station regarding the attack and left at 4am on his motorcycle. He was found dead at the scene, but his motorcycle was missing.. More here. Pathak and Dubey are the third and fourth journalists respectively to be murdered in India in a three-month period. Maharashtra’s chief minister, Devendra Fadnavis, announced on July 23 that the first draft of a bill to prevent attacks on media persons would be ready in a month. “I am positive about formulating a law to prevent attacks on journalists.” The draft would be open to comment, suggestions and objections, Fadnavis said. More here. 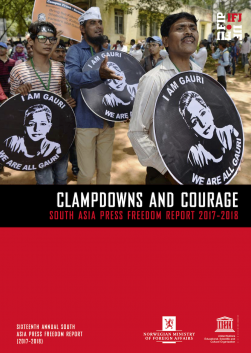 The IFJ and its Indian affiliates remain highly critical of the deteriorating safety situation for journalists and media workers in India and the slow response and investigations in these attacks – a situation not helped by the political environment. Just two days prior to the murder of Sanjay Pathak, Uttar Pradesh’s minister for secondary education, Vijay Bahadur Pal, had himself delivered veiled threats to journalists. In a public address, Pal said that he would ‘cut the journalists to size’ if they criticized his Samajwadi Party-led government. Pal said: “Some journalists think they can frighten us through their writings. They don’t know if Samajwadis get enraged, they will be cut to size.” More here. Niladri Chattopadhyay became the fourth Bangladeshi blogger to be hacked to death by religious extremists this year when he was murdered in his home on August 7 in Dhaka. Chattopadhyay, a secular blogger who used the pen name Niloy Neel, was brutally killed when four men armed with cleavers entered his home. The men stabbed the 28-year-old while holding his wife and sister-in-law at gunpoint. Niloy died at the scene. More here. Niloy is the fourth blogger and fifth media worker to be killed in 2015. In February, American-Bangladeshi writer and blogger, Avijit Roy was brutally hacked to death in Dhaka. In March, secular blogger, Md Oyasiqur Rahman Babu, was killed as he went to work in Dhaka. In May, Ananta Roy was killed by Islamist extremists in Sylhet. The murder was globally condemned as the UN General Secretary Ban Ki-moon, UN Special Rapporteur for the Freedom of Expression David Kaya, the European Union, the United States of America, the United Kingdom, the IFJ, the Amnesty International and the Committee to Protect Journalists among others deplored the incident and called on the Bangladesh government to act urgently to protect bloggers. Following the murder, police arrested two men, suspected members of banned Islamist outfit Ansarullah Bangla Team (ABT), for involvement in Niloy’s death. Bangladesh’s elite security force also arrested three suspected Islamist militants, including a British citizen whom police said was the “main planner” of the murder of two prominent atheist bloggers – Roy and Das. Rapid Action Battalion said they arrested Touhidur Rahman, 58, and two other “active members” of ABT on August 18. Meanwhile, Bangladesh police have said that they are investigating apparent death threats against six secular writers. The six, who include poets, bloggers and a journalist, all live in the southern city of Barisal and went to police after their photographs appeared on a new Facebook page stating them as the ‘enemy of Islam’..
Read here to know how hate speech and murders is silencing freedom of expression in Bangladesh. The IFJ expressed solidarity with its affiliate the Maldives Journalist Association (MJA) and the Maldivian media community as they marked the one-year anniversary of the disappearance of popular local journalist and blogger, Ahmed Rilwan Abdulla. The IFJ has condemned the inaction on the case and the failure of the Maldivian Government to investigate the journalists’ disappearance adequately. The IFJ is among a growing force of voices; joining local and international demands for an independent inquiry into the case. Rilwan, who worked as a journalists for Minivan News, disappeared on August 8, 2014. He was last seen boarding a ferry travelling to Hulhumale Island from the country capital, Male. Evidence indicates that Rilwan was abducted in front of his apartment, with neighbors hearing screams before seeing a man forced into a car. Police recovered a knife at the scene. Rilwan’s family also received phone calls warning them to call off search efforts. However, to date, the Maldives police force is yet to unearth any clue regarding the abduction or the whereabouts of Rilwan. More here. Read the SAMSN blog by Rilwan’s friend and blogger Yameen Rasheed’s hereand watch his interview here as he remembers his friend one year on. Five years after the disappearance of respected Sri Lankan journalist and editor Prageeth Eknaligoda, Sri Lankan police this month arrested two former high-ranking military intelligence officials. According to reports, the pair confessed to the abduction of Prageeth and said they handed him over to an army camp in Girithale in North Central province on January 24, 2010. The arrest on August 8 comes after the investigation into Prageeth’s disappearance was reopened by President Sirisena following his election in January 2015. The case was understood to have been handed over to the Crime Investigation Department. More here. The editor of a Bangladesh online news portal was arrested on August 16, allegedly for a Facebook status he posted on his personal Facebook page in early August. Probir Sikdar, the editor of Uttoradhikar 71 News, was taken from his office by police after Minister of Local Government and Engineering Department Khandaker Mosharraf Hossain filed a case against him under the controversial Information and Communication Technology (ICT) Act. In a Facebook status update, Probit claimed to be under threat and that Minister Hossain, Moosa bin Shamser and fugitive war criminal Abul Kalam Azad would be responsible if he were killed. The status was posted on August 10, just days after police refused to register a general diary entry over a threat Probit and his family received. Along with the post, Probir also uploaded the draft of the letter to the police saying ‘he is registering the case in people’s court’. A local court determined on August 17 to send Probir to jail on remand for three days. More here. 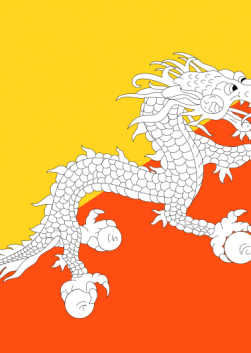 In late July, the IFJ returned to Sri Lanka to undertake a number of activities, following 18 months away from the country. The work was an important milestone following the President elections in January 2015, which has seen strong media development. The IFJ along with FMM and SLWJA hosted two workshops and a meeting to bring together journalists from across the South Asia region. On July 23 and 24 the IFJ held a digital campaign skills training for local Sri Lankan journalists. On July 26 the IFJ held the SAMSN gender network meeting with gender representatives from each of the SAMSN countries coming together to discuss challenges and develop strategies for the coming year. On July 27 and 28 the IFJ held the SAMSN digital campaign skills training for representatives from across South Asia. The activities culminated with the regional launch of Inside the Newsrecommendations on July 27. The launch brought together participants, SAMSN members, local journalists, IFJ friends, returned journalists and activists, including Sunanda Deshapriya. See photos here and here. The IFJ held a regional and three in-country workshops to train journalists in ‘digital campaigning skills’ through July and August. Supported by the UNDEF’s South Asia Media Freedom for Democracy Project, the two-day workshops focused on use of internet-based technologies and social media platforms in the campaigning that the journalists unions will run in the future for democracy, freedom of expression and media rights. The first workshop was held at the Sri Lanka Press Institute, Colombo, on July 24-25 for Sri Lankan journalists from FMM and SLWJA. The journalists discussed challenges they faced nationally and regionally and developed regional campaigns. Following this, a regional workshop also in Colombo, gathered digital activists from across South Asia on July 27-28. The Colombo workshops were locally hosted by the Free Media Movement (FMM). The National Union of Journalists (India) (NUJI) played host to the India workshop in Hyderabad on August 10-11 and the Nepal Press Union (NPU) hosted Nepal’s workshop in Pokhara on August 15-16. During the workshops, the participants identified the national and regional issues that need campaigning on and explored ways to use the digital platforms to make those campaigns more effective and wide reaching. Some of the digital tools discussed include creating webpages, using Facebook and Twitter, use of photos, infographics and vidoes as well as the e-petitions and other relevant tools. The major issues that were discussed include safety of journalists, wage for journalists, and gender equality. Photos from Colombo, Sri Lanka workshops here and here. Being extensively engulfed in ‘war reporting’ for almost 30 years and subsequently being subjected to excessive media suppression by the rulers, journalists- especially the younger generation – in Sri Lanka are struggling to come out of the box,writes Gagani Weerakoon. The lack of progress on Rilwan’s case has been put on the agenda of domestic political negotiations, as well as in forums such as the EU Parliament and UNHRC. However, the government has failed to step up efforts to pursue the case, or ensure security for journalists, writes Yameen Rasheed. The recent fight over power, presence and control between Islamic State (IS) fighter and Taliban groups and re-grouping of jihadi militia’s (Warlords) are new serious threats and concerns for media workers and journalists covering worsening security situation and conflict in the country soon after NATO departure from Afghanistan, writes Samadar Rahimullah. Chayan Sarkar, the journalist from West Bengal, who had gone missing on August 2 in Alipurduar, West Bengal, has been found. On August 8, Chayan was discovered lying near a bus stop in Cooch Behar. The locals who found him there informed the local police station and took Sarkar to a hospital. The police said that he confessed he had left home due to personal issues. More here. The Free Media Movement, Sri Lanka, an IFJ affiliate and SAMSN member, was presented with the prestigious Sepala Gunasena Award for Defending Press Freedom at Sri Lanka’s annual Journalism Awards for Excellence in Colombo on July 28. Jointly organized by the Editors’ Guild of Sri Lanka (TEGOSL) and the Sri Lanka Press Institute (SLPI), the awards recognize the best works in media from across the country. The Wijeya Newspaper Group won 10 awards. The awards is in the 16th edition and first begun by the Editors’ Guild in 1999. More here. India’s information and broadcasting ministry on July 27 asked TV channels not to show live coverage of the anti-terrorism operations in Dinanagar town of Gurdaspur district in Punjab. The ministry issued an advisory and said it had notified the Cable Television Networks (Amendment) Rules, 2015, which state that no programme shall be carried in the cable service which contains live coverage of anti-terrorist operation by security forces. More here. A one-day SAMSN gender network meeting was held in Colombo, Sri Lanka on July 26. The meeting brought together the South Asia gender coordinators and SAMSN female participants to discuss gender-specific challenges as well as the recently released, Inside the News gender and media report. On the day, the gender report was also released in Sri Lanka in presence of IFJ affiliates and journalists. Find the Sri Lanka report here and find more about the report here. The Nepal International Media Partnership (NIMP) has released its analysis of the draft constitution which is currently being considered by Nepal’s Parliament. NIMP highlighted a number of key recommended amendments for the constitution to ensure freedom of expression, media freedom and the right to information is guaranteed. The recommendations call on the Nepali Government to ensure they are upholding their commitments to international conventions such as the International Covenant on Civil and Political Rights, which Nepal ratified in 1991. More here.